If we’re the only life in the universe, does that mean we’re significant, or insignificant? Are we just a mole on the back of the universe’s foot? Or, are we the actual purpose of the universe? Are we the seed, expected to spread out and explore and conquer the universe? Are we the last sentient residents of a now ashen universe, once full of life? It’s quite unlikely that any of those questions will be answered within the lifespan of any of us currently alive. But it’s even less likely that we will stop trying to answer those questions. NASA, not long ago, announced the discovery of a solar system, some 40 light-years away, harboring seven “Earth-like” planets. Three are currently thought to orbit in the habitable zone – where liquid water is likely to exist – not too close, nor too far from the sun to allow water to maintain a liquid state. All things being equal, if life had arisen on one of those planets during the same time frame as on our Earth, and followed the same pattern of evolution and advancement as ours, we would have found them and they would have found us. Or, so it seems. The problem is time. We think of the search for extraterrestrial life in terms of vast distances. To really understand the chances of finding any (or us being found), you also need to look at the universe in terms of its staggering duration. Even at a mere 40 light-years away, finding each other wouldn’t be a sure thing. To illustrate that, let’s look at some numbers. Michael Faraday created a primitive electric generator in 1831. This is an important date, because, even though, his electricity was running through wires, the act of generating electricity creates radio spectrum noise. It wouldn’t have been coherent radio signals, nor would they have been powerful enough to expect that the signals could have been detected anywhere on Earth, let alone, 40 light years away, but 1831 could be called the opening of the window of opportunity for discovery. As of this writing, that’s 186 years ago. Out of the 100,000 years of humanity and 4.5 billion years that the Earth has been around, the window of possible discovery via electromagnetic means, has been less than 200 years. We’ve been potentially discoverable for a sixth of a percent humanity’s existence, and for 4.13 * 10-6% of the existence of the planet. Those are small windows of opportunity. It gets even smaller if you consider a reasonable likelihood of discovery. Electric generation came 186 years ago. Morse code was first transmitted wirelessly 131 years ago. That’s when we started deliberately creating coherent radio signals. The first atomic bomb detonations in 1945 created gamma rays, which, if the Earth was pointed in the right direction, would have been easily detectable 40 light-years away. Really high powered AM radio transmissions started near that time, as well. On the receiving end, radio astronomy began in the 1930s and we started looking for gamma rays of non-terrestrial origin in 1967. We’ve been looking for radio signals from space for 85 years, and gamma ray bursts for 50 years. Assuming a similar progression on a planet 40 light years away, our 85 years of searching would need to line up with their 131 years of transmitting wireless radio. You might say that, if they evolved and developed faster than we did, they might have been searching their skies for hundreds, perhaps even thousands of years. Assuming no extinction level asteroid strikes, globally devastating nuclear wars, or climate destroying pollution cycles, our 131 years would need to fall into that few thousand years, out of billions of possible years, which is still pretty unlikely. 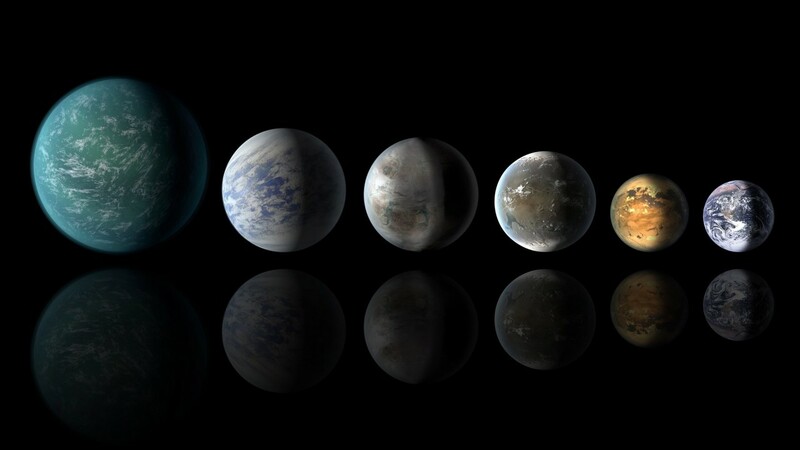 For us to have detected the signs of life (coherent radio or gamma rays) on one of these three of seven planets thought to have liquid water, the alignment of advancement would have to be incredibly convenient. They would have to have advanced to the point of emitting those radiological signs of life, and we would have had to have been listening to the right area of space sometime within the last 85 years. 85 out of 4.5 billion. That doesn’t help in terms of deciding if we are important, or not. But, it does help illustrate the difficulty in determining if we are alone or not. Previous What’s Next for Content Marketing?